Right on time, Samsung unveiled the Gear S3 smartwatch. It's actually smarwatches - meet the Gear S3 classic and Gear S3 frontier. 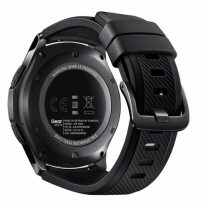 The watches grew since the S2 generation - 1.3" screen size, 46mm in diameter. 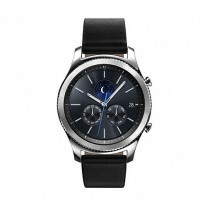 That's why Samsung will continue to sell the Gear S2 for those who find the S3 too big. But they will be missing out. The new Always On display is so much better, it shows the full 16 million color gamut (S2 managed just 8 colors). Also, the screen remains surprisingly active for this being a lower power mode - you can see the second hand tick! Also, the Samsung Gear S3 now has full support for Samsung Pay - both NFC and MST (S2 did only NFC). And all versions of S3 will be able to handle calls - the LTE versions can dial on their own, the Wi-Fi ones just act as a hands-free. The watches are surprisingly rugged too. Officially, they score an IP68 rating, but their 316L stainless steel body should handle even corrosion from salt water. The screen is guarded by a specially formulated Gorilla Glass SR+ - Samsung says it's almost as tough as sapphire. The company also had impressive displays of how the watches handle extreme temperatures - from the freezing cold of dry ice to the scorching light of heat lamp. 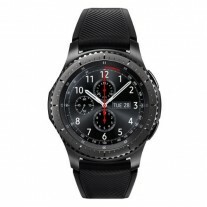 What's the difference between Gear S3 classic and Gear S3 frontier, you ask? 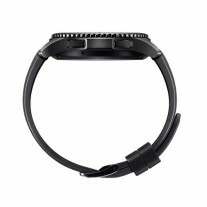 Well, frontier is the sportier watch, available in black and only with rubber bands. It's the only one of the two to have an option for 3G/LTE connectivity. 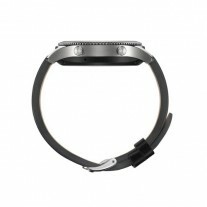 Classic only gets Wi-Fi/Bluetooth and comes in silver, with leather bands. 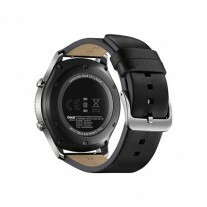 But both watches use the same materials for the case and glass and are equally durable. Pricing and launch info are unclear, all we heard so far is "Q4." We did end up liking the Gear S3 frontier more - read our hands-on impressions for more details.